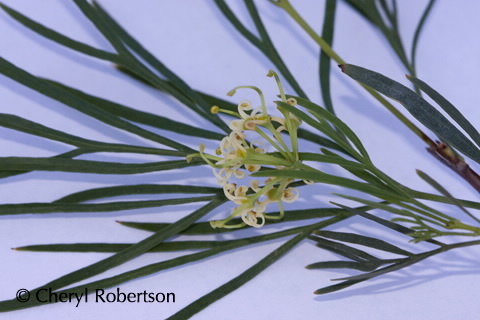 This species, from the Townsville region, forms a shrub or small tree. 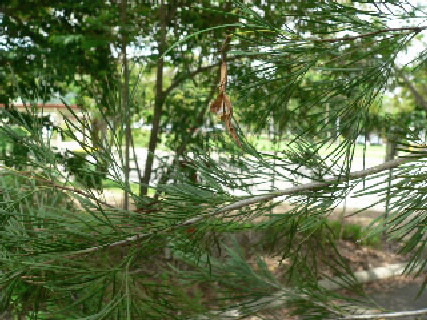 Initially it has finely pinnatisect leaves but as the plants mature, the leaves are usually undivided. Both forms are usually present on older plants. The inflorescence is a pseudo-umbel of 12-20 creamy-white flowers. The follicles are narrow to 10 cm long, more than 2 seeds are present. Can be found growing naturally in creeks towards Hidden Valley on the other side of Paluma, in the creeks as you start to descend to Running River..